As my company “Nelke Planning” was turning our focus to China, LDH was also looking to expand overseas. 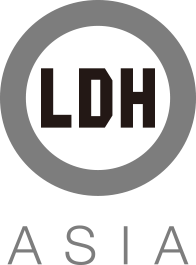 Under the new corporate structure, I will have the honor of serving as President of LDH ASIA. With nearly 10x’s the amount of people in China, I am confident in the enormous opportunity we have before our eyes. Channeling the energy of not only China but also Malaysia, Jakarta, and Thailand, we aim to share the talent and culture unique to Japan with those who share the same love of our culture. I strongly believe that Music, Art, and Acting through the unique Japanese lens of culture, can have a lasting and positive impact on youth. Developing a unique bond through entertainment and music with other countries is our ultimate goal. As pioneers, we face this new challenge with confidence. As a member of EXILE I was fortunate to perform in China during our 2010 tour, and I was awestruck by the power and possibilities China presented. Although I am Japanese, I don’t see the world as divided by countries. We are all human, and taking into account all the experiences in my life so far, I hope to move forward and create entertainment with people from all over the world. LDH ASIA will have endless opportunities under the new corporate structure of LDH, and as we move forward in this market I feel more and more motivated to share the EXILE spirit throughout Asia. We are given the unique opportunity to show the world not only about Japan but share the LDH philosophy of “Love, Dream, Happiness” across Asia. As the first overseas branch school of EXPG STUDIO, EXPG STUDIO Taipei is located in Taipei, Taiwan. Thanks to your support, now it welcomes the 7th anniversary. Many of the students are Taiwanese. But a lot of Japanese who are living in Taiwan and English speakers also attend this school. Although they speak different languages and have varied cultural backgrounds, the students gradually bridge the gap and forge ahead towards the same dream in a wonderful environment while engaging in classes and activities. All the staff will keep "LOVE, DREAM & HAPPINESS" as the motto and back you up so that you can bring happiness to a lot of people through the performances which are created by the bonds going beyond national borders! The first large-scale overseas shop which sells quality products selected from 24karats, 24SURF_, J.S.B., EXILE TRIBE STATION and other related brands.